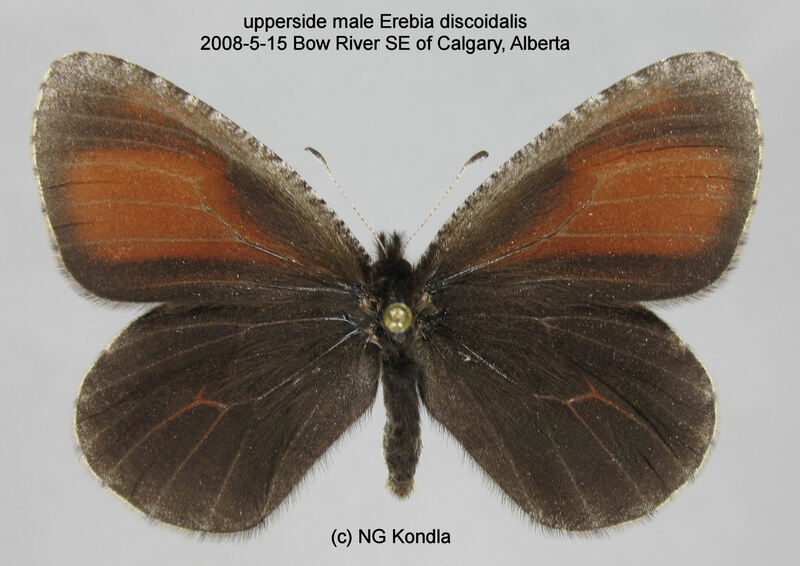 Identification: Wings are brownish black and lack eyespots. 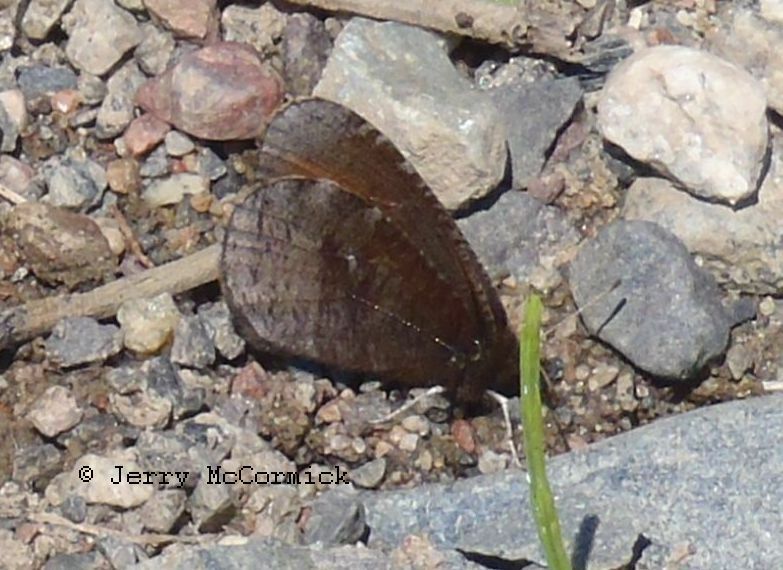 Forewing has a large chestnut red patch both above and below. 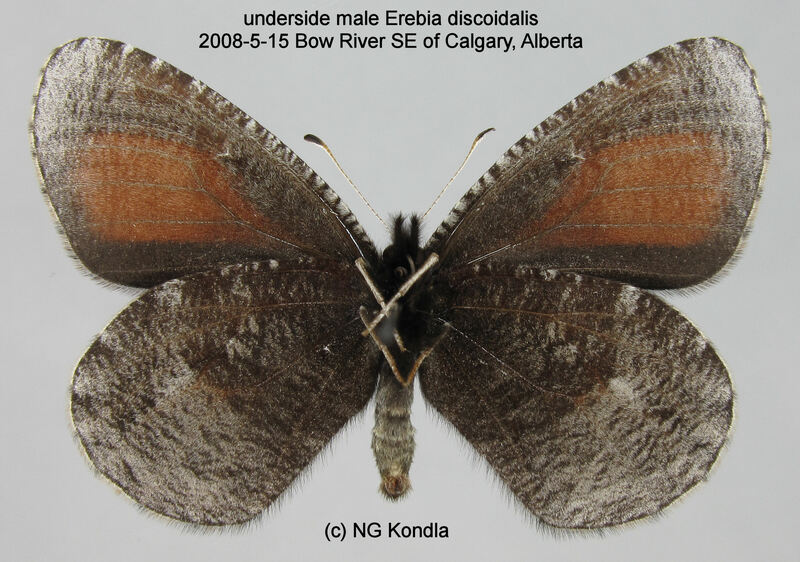 Underside of hindwing is mottled gray and brown. Wing Span: 1 1/2 - 1 15/16 inches (3.8 - 4.9 cm). Life History: Adults fly slowly near the ground. Males patrol for females with a weak flight. Fourth-stage caterpillars hibernate; probably biennial. Flight: One brood from early May to mid-June. Caterpillar Hosts: Bluegrasses (Poa species). Habitat: Large, open, grassy bogs; other areas with acidic soils. Range: Holarctic. North America from Alaska south and east to southern Alberta, northern Montana, northern Wisconsin, northern Michigan, and southern Quebec.